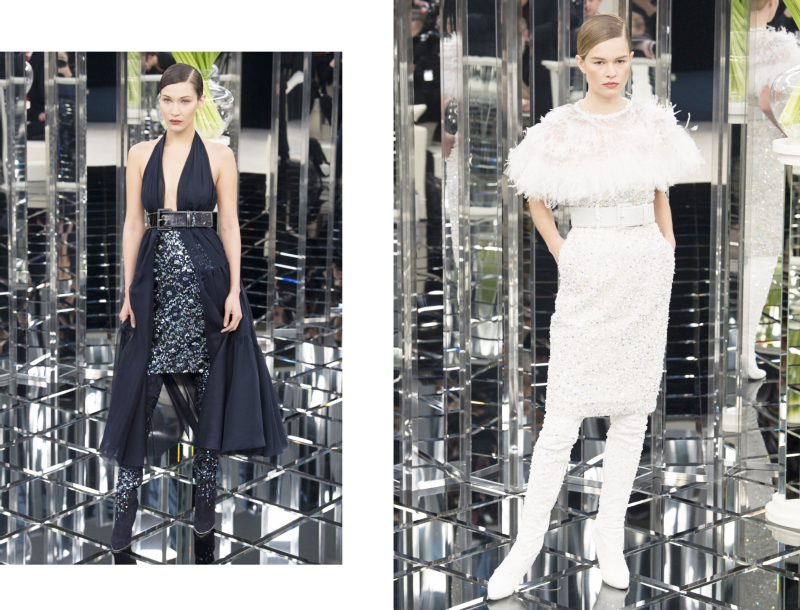 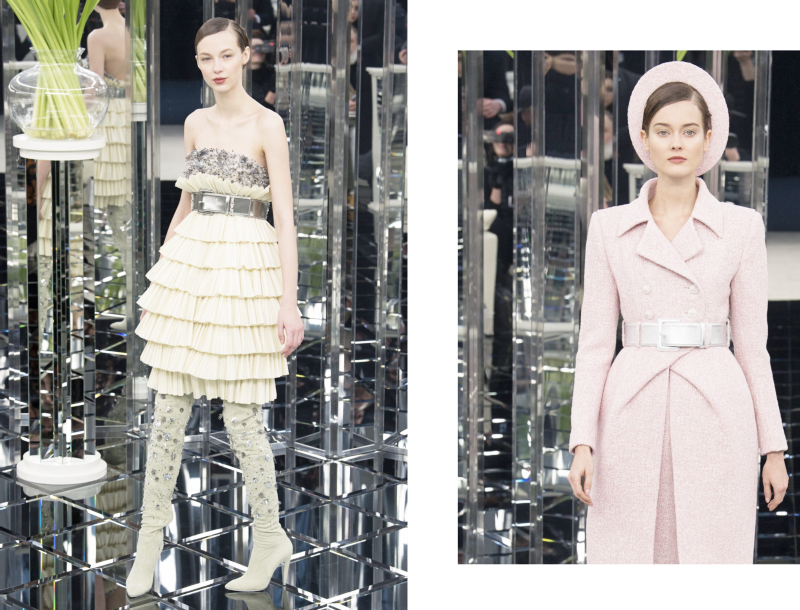 THE INTRICATE SETS usually take centre stage in Karl Lagerfeld‘s shows for the house of Chanel, whether it be a melting iceberg or a space shuttle. 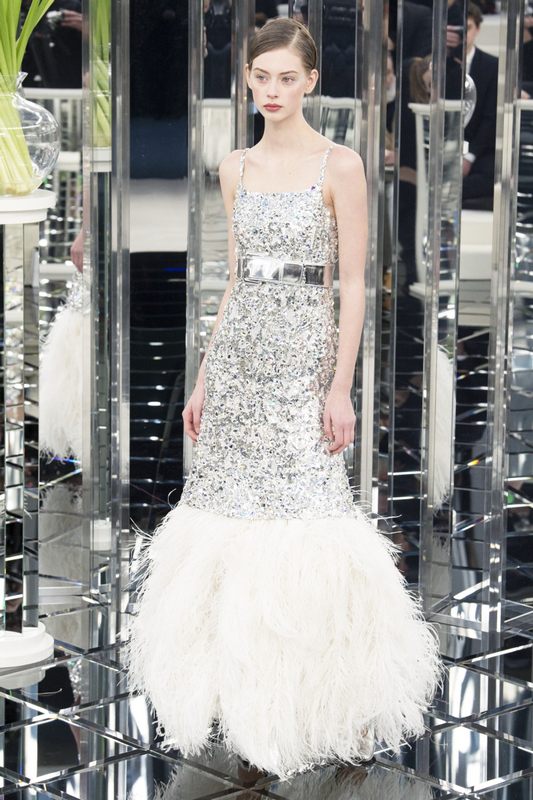 For its spring 2017 show, however, he opted for an Art Deco mirrored circular runway, a stripped back set reminiscent of Coco Chanel’s famed stairs at her Rue Cambon atelier. 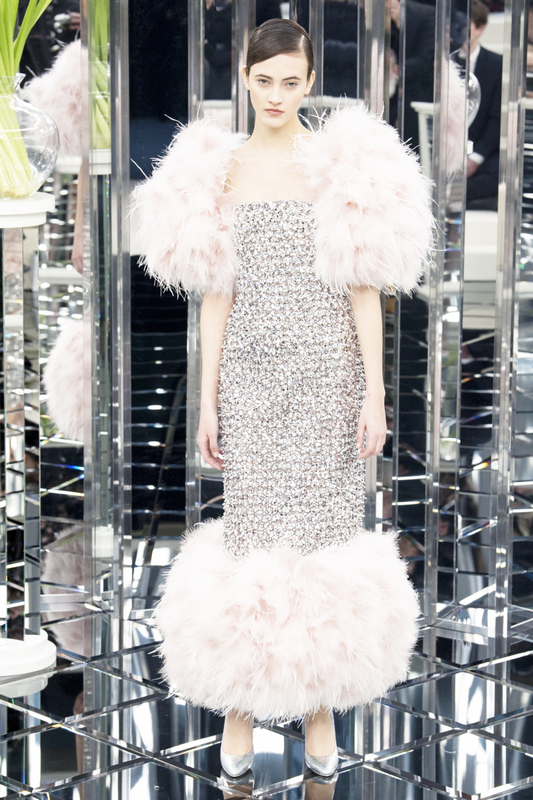 All that was left to do without the backdrop distractions was to contemplate the haute couture itself. 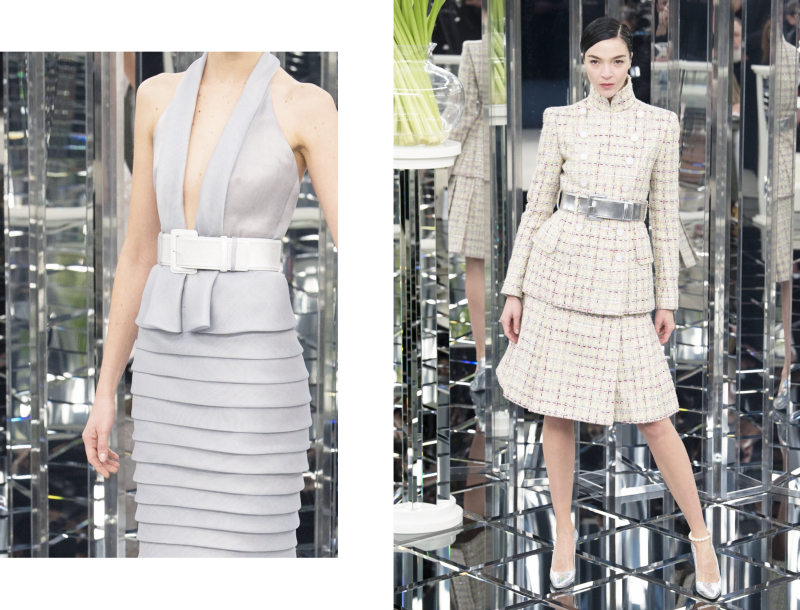 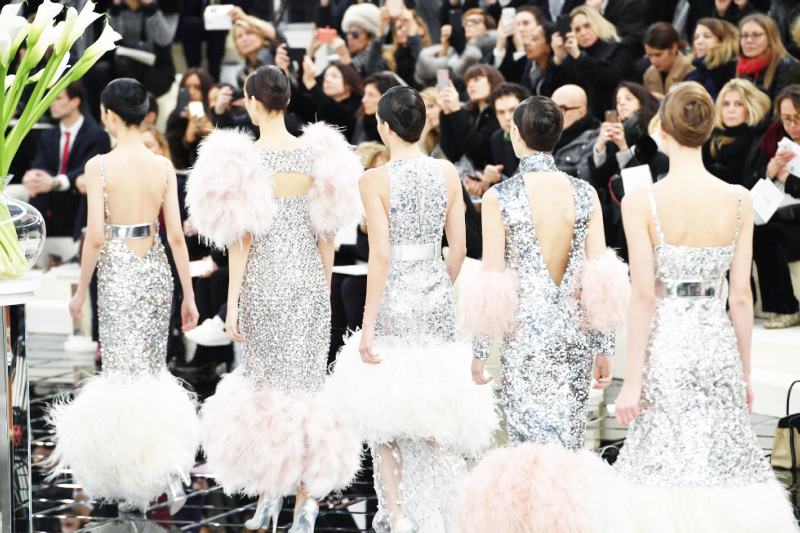 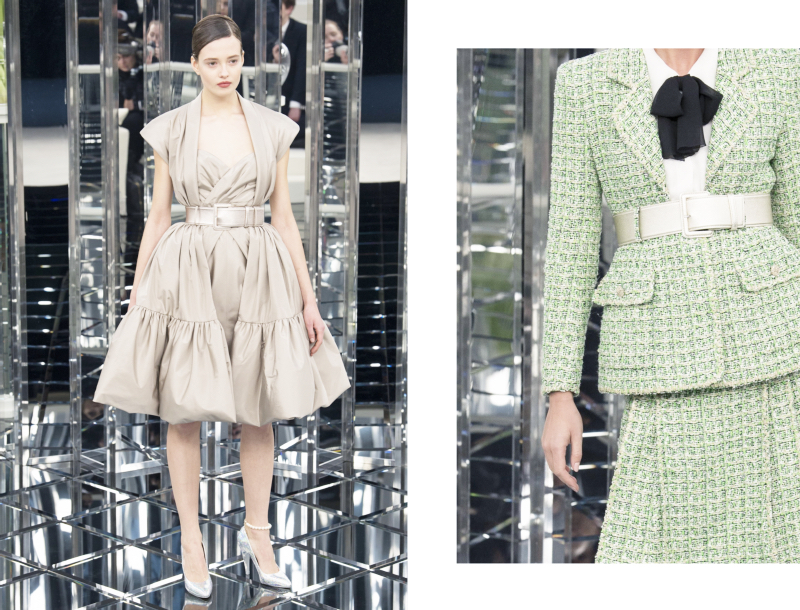 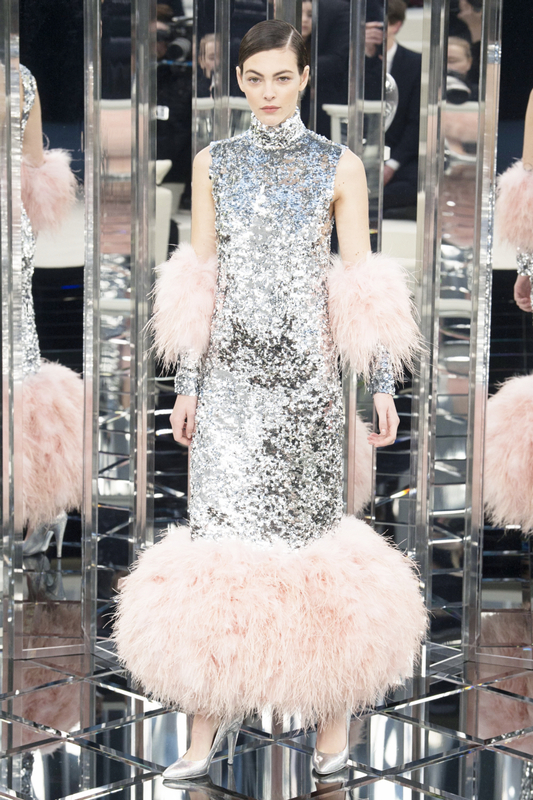 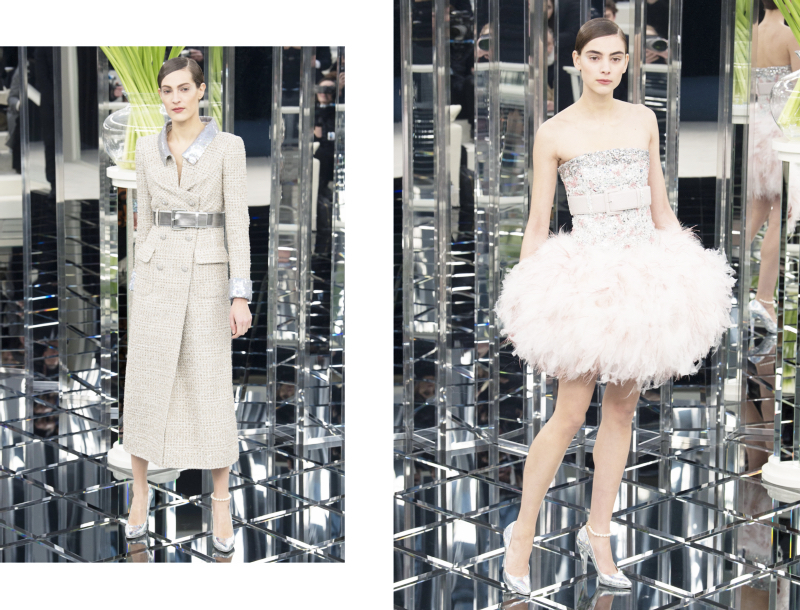 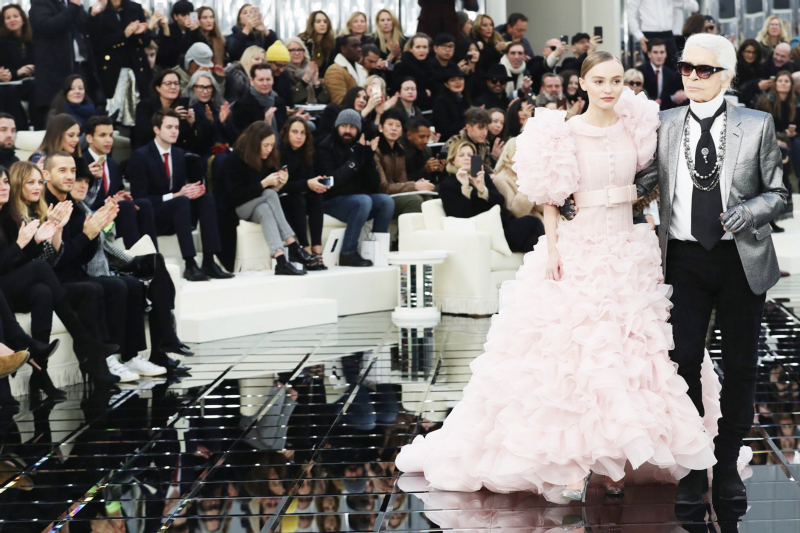 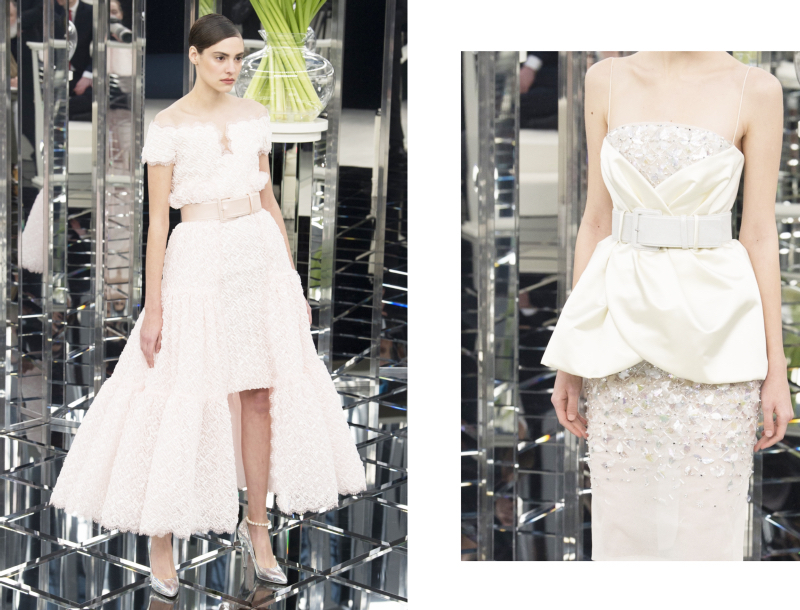 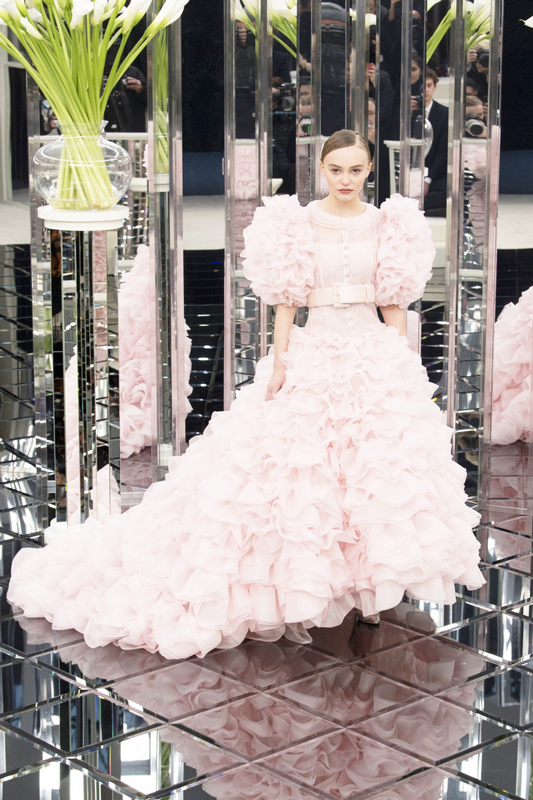 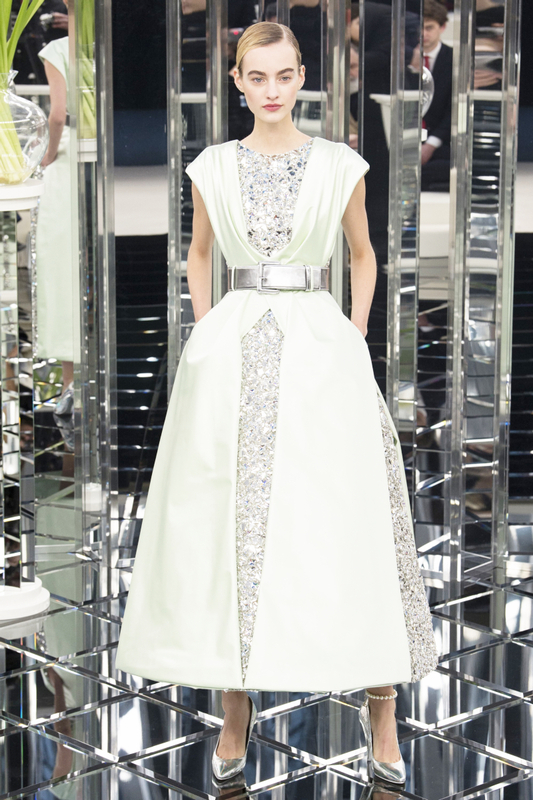 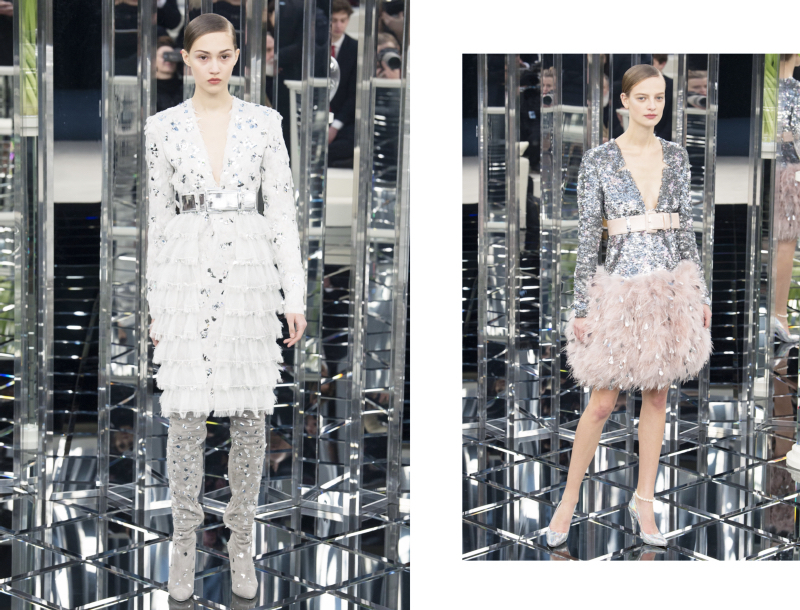 There were classic Chanel suits, perfectly tailored in pastel hues; ensembles with silver sparkle details, whether in the collar or the lining, for a chic cocktail hour at the newly reopened Ritz; long ballerina-style dresses with poufs of ostrich feathers at the hems; and, of course, Lily-Rose Depp gliding as the couture bride like a swan in layers of ruffled pink tulle. 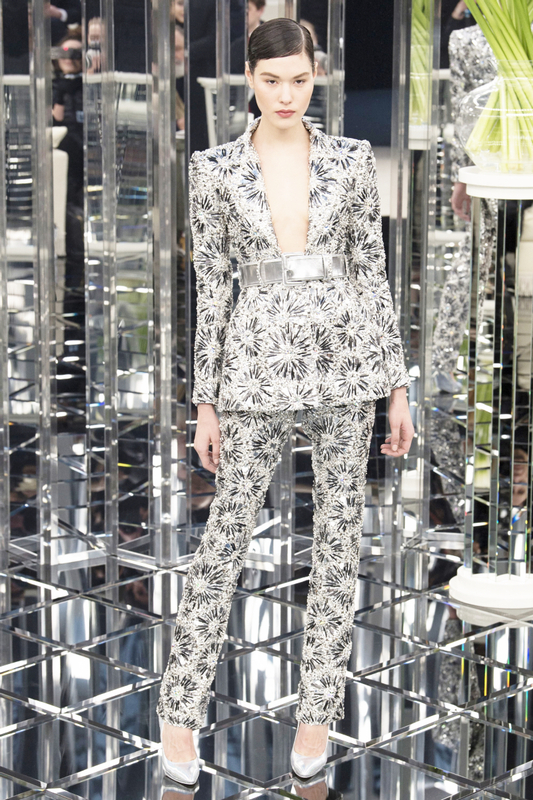 Karl, you outdid yourself, once again. 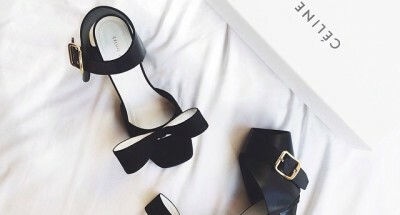 — Victoria.